Get ready to eliminate the need for compromise from your house hunt. This fantastic family home is perfectly located on the Western City fringe, positioned to maximise the aspect and outlook across the valley to Grey Lynn and the city. 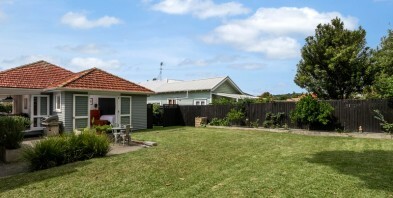 Enjoy all the convenience of transport links, proximity to Kingsland and local parks. The large site is almost level and privacy is assured. The 736m2 is perfect for family, pets, green fingers and currently even has chickens!! Off-street parking and garaging is there for at least three vehicles. There is even room for the boat! The home itself is configured to maximise indoor and outdoor living to ensure easy entertaining throughout the year. The kitchen is the hub with double aspect living capturing all day sun, especially on the huge north-facing deck! Three generous bedrooms, master with ensuite (of course! ), fantastic loft storage and workshop space means there is space for all and the toys. The iconic pragmatic style of the mid-century bungalow is just the icing on the top. Classic, comfortable family living is available for you now, and maybe for a price point that fits as well. Don't delay your inspection. Our vendors are committed to selling.